This sublime, two-story condo is freshly endowed with furnishings and intentional touches, creating a serene approach to fine living. Bright, clean and as clear as the azure blue ocean below, Whalers Cove 231 is a pristine place to find your own paradise. 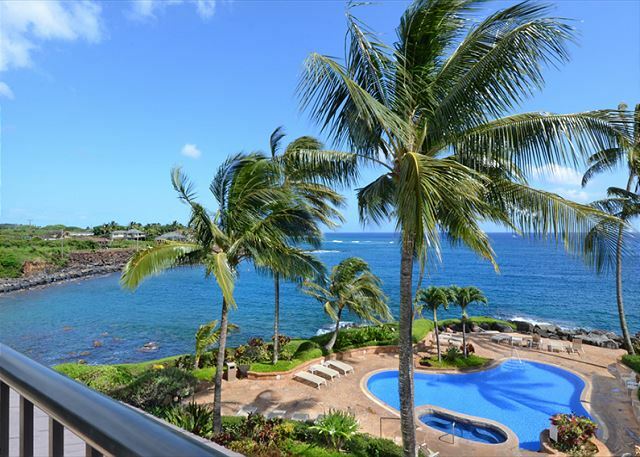 The lanai directly overlooks the pool and ocean, providing a vista unparalleled. Enjoy daily sunsets, monthly moon reflections and annual whale migrations from your very own private porch! 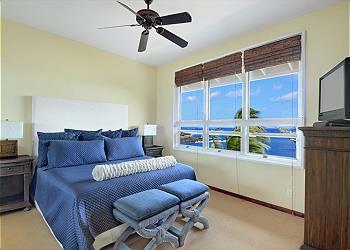 Comfortably sleeping 4, this two bedroom suite is a deluxe island vacation rental. With a convenient location and stately resort feel, this is a unique opportunity to experience comfortably priced opulence! 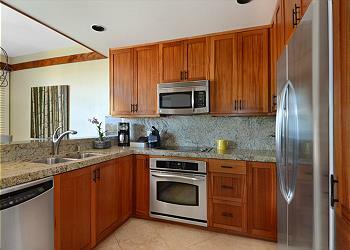 - Exclusive waterfront condos overlooking the Koloa Landing snorkel area. - The private complex includes a sensational seaside pool and hot tub, appearing as an actual extension of the ocean. 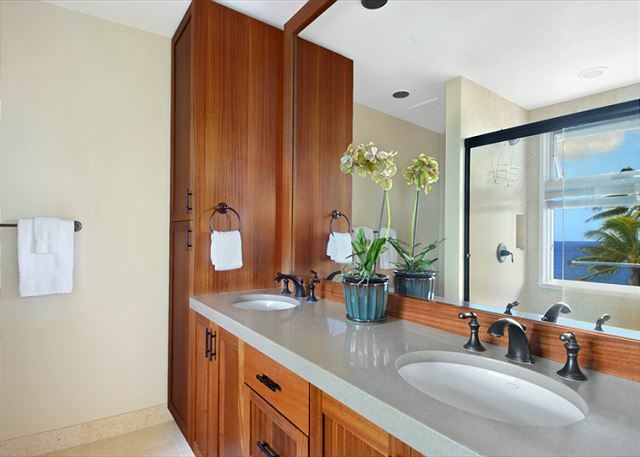 Orchid gardens, water features and large tree canopies accent the paradisiacal property. 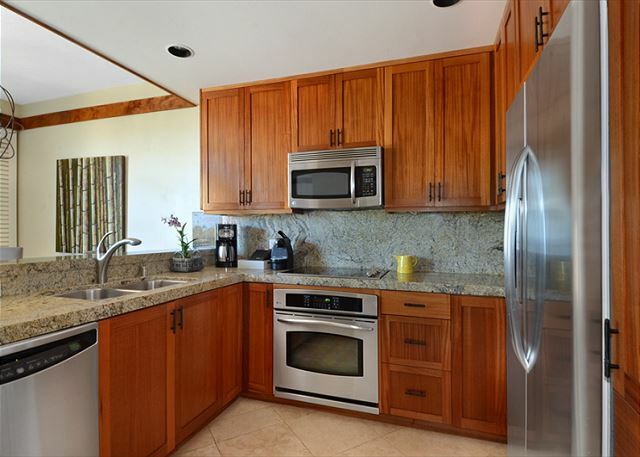 - Located within walking distance of the Kukui’ula Shopping Center and nearby beaches. 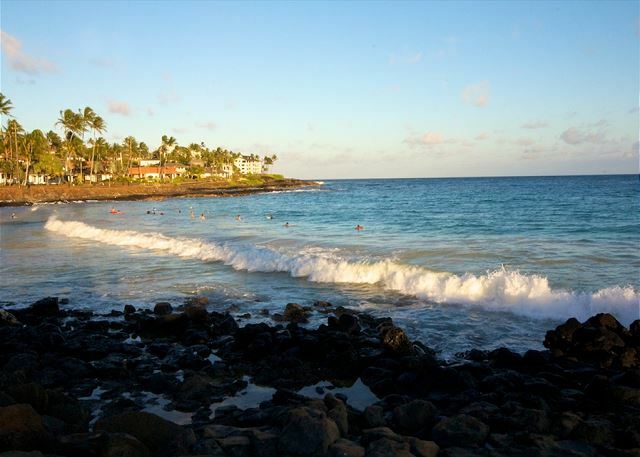 Also just a short drive to Spouting Horn, Allerton Botanical Gardens and other popular Poipu attractions. Perfect vacation in a perfect rental! 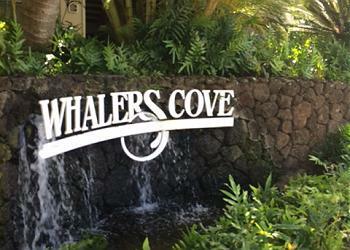 We recently stayed at 231 Whaler's Cove. It was our first time anywhere in Hawaii. For years we have looked forward to celebrating our 20th anniversary in Hawaii and were hoping for it to be am amazing experience. And it was! Our condo was even better than it looked in the pictures (the living room has been updated! ), and was very clean and comfortable. We enjoyed lots of time on the lanai watching the sun rise each morning and all the snorkelers down below who were looking for sea turtles. (We ended up doing snorkeling at Poipu Beach as we were told the water has better visibility and lots more tropical fish.) For sunsets, we were usually on a beach or at dinner somewhere, but the first evening we enjoyed the sunset from Baby Beach which is about a 2 block walk through the pleasant and quiet neighborhood. Whaler's Cove itself was VERY quiet. We hardly ever heard anyone else. Our unit overlooks the pool but there was hardly ever anyone swimming in it. We met some very friendly and helpful ladies one morning in the hot tub. The only negative thing was that we never were able to get the overhead light in the second bedroom to work. I messaged the host who got back to me right away and said he'd have the on-site staff talk a look, but they never did and never heard any followup. Also, I thought it would be a nice touch to have a few card or board games available in the unit. Other than that, they seemed to think of everything, including 2 nice beach chairs that you can carry on your backs that we used a lot. We would definitely stay here again and have already recommended it to others. We will always remember our trip and our stay at Whaler's Cove! This property has an amazing view and great amenities. We will definitely return! condo again. Highly recommend this property. 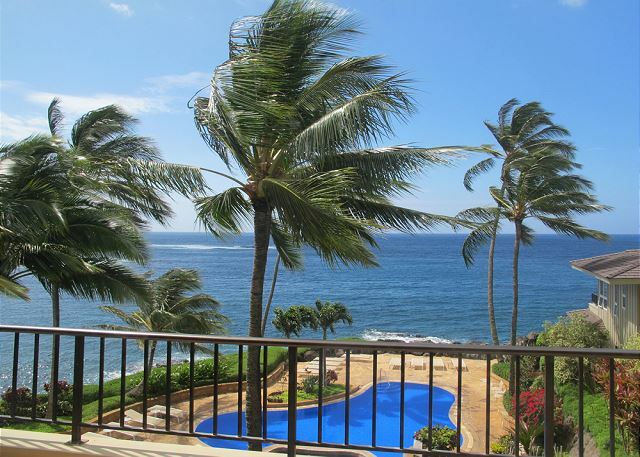 We want a Poipu property in a good location with a view, and that's exactly what we got. The condo was clean and in good condition. The ocean view was spectacular. The pool area was well maintained and not crowded. We enjoyed the location near the Kikui'ula mall. It is about a mile walk to the beach and roughly 2 miles to Spouting Horn. It's a walk up a flight of stairs to the two bedrooms, which was no problem for us but might be for some guests. Overall, we were very satisfied with our stay. Our stay at Whaler's Cove was lovely. We will definitely return to this lovely Condo. Thoroughly enjoyed our stay in this unit. It was in immaculate condition, with a lovely view, and well equipped kitchen for making meals on site. Sitting on the balcony every morning for breakfast gazing at the waves was the perfect way to start our day. The pool was sparkling clean and the hot tub was much appreciated after our long hikes at Waimea Canyon. There are a lot of stairs, but there is an elevator for bringing up your luggage. We really appreciated the beach chairs and beach towels supplied when we visited the nearby beaches. Location was ideal, close to the airport, a short walk to shops and market and right on the ocean. Would not hesitate in returning someday! Very nice V. Rental; mostly as described. Great views, lovely grounds, friendly staff, quiet, walkable area, well furnished and stocked. Would have given 5's except for a few items that need repair: ceiling fan, shower head. This is a beautiful property. We loved the condo. It is huge. AC in the bedrooms worked well for us for sleeping. We spent almost no time inside. The view is great. The property is spectacular. If you're a diver, you are at a GREAT shore dive location. 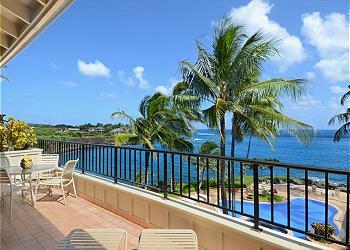 Easily walk down the stairs to Koloa Landing. Could not get easier. My husband, 2 young adult boys and I stayed here for about a week. We payed for the ocean views and we weren't disappointed. The balcony was generous-big enough for 4 of us. We used the pool and Jacuzzi, both nice! It had everything we needed, well-stocked kitchen, linens, washer/dryer and it was proximate to all our activities. The decor was tasteful with the exception of the cloth couch-it is stained. The owner graciously allowed us to stay a few hours over our agreement. The cleaning crew called me to let me know I had left a backpack, with my tablet intact. I was super grateful for that! The master AC quit working the night before we left, so we did have 1 uncomfortable night's sleep. We downloaded the app, which was user friendly and helpful. Overall a great experience. We would stay here again! I'll keep it short and sweet! You absolutely can not go wrong staying here. View of the pool and ocean is breathtaking. There are turtles everywhere. Snorkel right outside your condo!!!! My one and ONLY complaint...the master bedroom mattress...very uncomfortable. You can feel the springs. My kids said their mattresses were comfortable. Fantastic unit in equally great location. Very nice condo. Quiet and peaceful complex. Great location with a fabulous view. Our first time on Kauai after many trips to Maui. We will return. We had a wonderful week at Whaler's Cove. 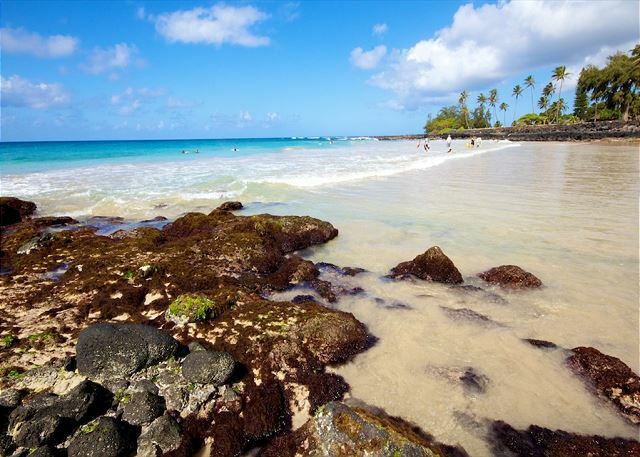 It is a perfect location from which to enjoy all Kauai has to offer! Highly recommend. This place is awesome. From the moment you walk in the front door you are in paradise. The unit was spotless, and had all the amenities we could want. He kitchen is fully stocked with everything to cook with even some spices and ziplock, wraps, etc. All we had to purchase was the actual food. The grounds are immaculate. Plenty of safe parking and the end of the parking lot look at the turtles was the cherry on the top. We saw turtles every day. We had our 2 older teenage kids wiht us and had plenty of room. Easy walk to shopping area with shops and restaurants. We will for sure be back! Beautiful condo with fantastic view! We stayed at this condo recently, June 10-15 with our family after being on the Big Island at a resort. It was nice to have a change to a condo on this island. The condo was extremely clean and the view when you enter is amazing. 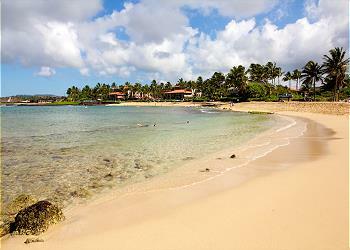 We also had a great experience with the personal concierge for Kauai Exclusive. Coco Maria did grocery shopping for us so that we had food at the condo when we arrived. She did such a wonderful job and had things organized so nice. We thank her very much. There were so many turtles to see in Turtle Cove which was fun and we also saw a large pod of dolphins feeding in the ocean as we looked off of the lanai one morning. The lanai had nice lounge chairs and a table and chairs for relaxing. The layout of the condo was perfect. The open living space/dining and kitchen were perfect and had dish-ware that was useful. The upstairs master bedroom and bathroom also had a fantastic view and the breeze was wonderful. 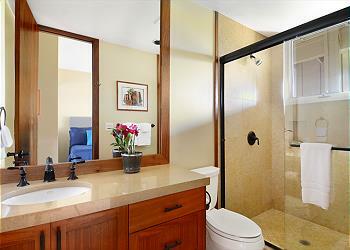 The second bedroom and bathroom were also perfect for our family. We also were able to extend our stay one additional day which meant we could spend more time at this beautiful condo before a late flight return to the mainland. The pool and hot tub were convenient and Baby Beach was just a short walk away. There are also many restaurants close by with shopping. Running trails also close. 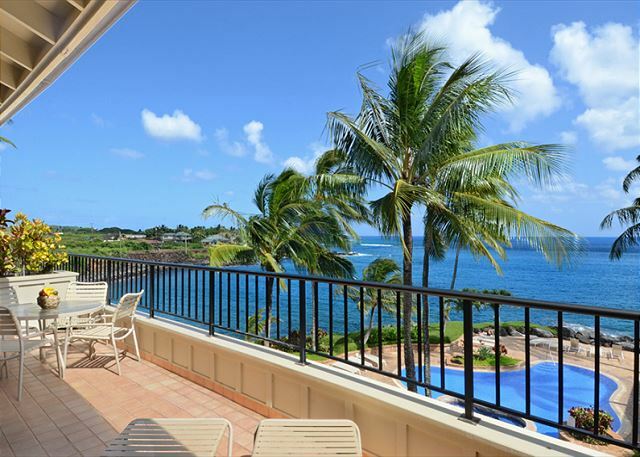 We have already recommended this condo to others planning on vacationing on Kauai. We thank you very much for the excellent property, service and management. 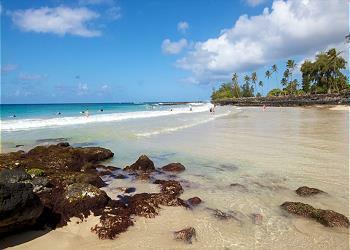 We will definitely stay here again when we visit Kauai in the future. Whalers Cove was a wonderful place to stay. Everyone was so helpful and the condo was absolutely gorgeous. There are plenty of places to eat and shop nearby. We enjoyed watching the breathtaking sunset a short drive from our condo. Condo is very nice with an unbelievable view. Property is great with a beautiful pool and bbq area. Our experience at Whaler's Cove 231 was one of unbelievable Paradise. Looked out each moment to this view. Sound of waves filled our days. Unbelievable sunrises and sunsets. Good people throughout the islands. My husband "complained" of being awakened by a rooster the first morning. Funny! Could walk everywhere. Close beaches along Poipu coast, not far from Spouting Horn. We did a helicopter trip with Jack Harter helicopters over Kauai and the Kanapali Coast which was wonderful. Lots of waterfalls. Our pilot gave wonderful descriptions. Did not get to snorkel because of unusually high waves throughout our trip due to El Niño effect. That was only disappointment. Kauai is gorgeous and so accessible. Went to Waimea Canyon and all of the overlooks. Don't miss the last one, the Puu o Kila Lookout, at the top. Went up the East coast to and Hanalei Bay and the wet and dry caves and one lane bridges. Birds, flowers and roosters and family made for more excitement and beauty. At end of parking lot at Whalers Cove, we got to see sea turtles each day swim in and sun themselves on the rocks. Favorite part was waking up each morning and having my Hawaii coffee on deck. I even got up at 3 a.m. one morning and had to take pictures of the sky filled with stars. Shopping available in Koloa and really everywhere but never seemed commercial on Kauai. Our 231 condo was very, very nice and had all needs available. Well stocked w cooking things and even made available a few items like salt and pepper and cooking spray, etc. First night could not get internet to work so I talked with owner who knew what to do. Good reception throughout our time there. This is a place of utter peace and beauty! Beautiful condo in a quiet location. Pool area was exceptionally nice too! 231 Whaler's Cove was everything we needed, and added a few extra surprises as well! 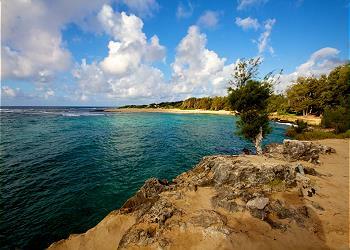 We had never been to Kauai before, but had heard from a few friends that Poipu is a great location. Having been, we now understand why. 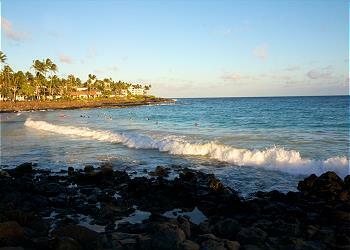 From Poipu, you can get anywhere on the island in an 1 1/2 hours. We were all over the island (Napali coast, Wailua river, Lihue, Waimea, and more), travelling everywhere with ease with the minor exception of late afternoon traffic returning from the north shore that could slow the trip a bit. The location within Poipu was excellent. We didn't realize how close Kukui'ula Village Shopping Center was to the condo. It offers numerous shopping, eating, and other establishments (over 20? stores) within *easy* walking distance. Further, you can snorkel right off the back of the condo parking lot - and it rivalled all of the other snorkeling locations on the island! You can also walk to Baby Beach if you simply want to lie in the sun... it's only a block away. As for the amenities, A/C for the 2 bedrooms was very nice in July, the kitchen was well stocked with cooking supplies. The view from the deck in the picture is the real deal... simply breathtaking. The beds were extremely comfortable. The downstairs was spacious and the deck as well. And we only really needed to work with management once, when the A/C unit misbehaved. They responded the same day and fixed it. Finally, about 1 month before check in, I received an email from a woman who helped us plan our daily adventures. While we knew what we wanted to do, she helped "tune" our plans and made a few reservations for us in advance to guarantee availability. Both trips (Captain Andy's Zodiac tour, and the Waimea River kayak trip) were exceptional. In summary, we were simply overjoyed with our stay and highly recommend Whaler's Cove! We had absolute incredible 7 day holiday to Kauai thanks to a beautifully appointed condo (with A/C- helpful in the 90F) and the booking and arranging talents of Sonja Keala. 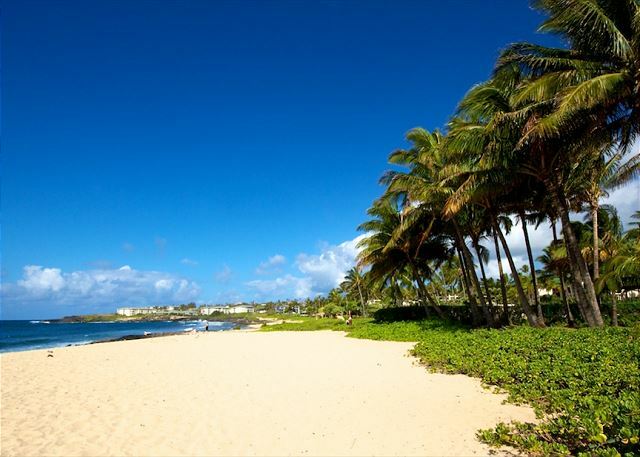 The location of the condo was perfect- not too far away from Poipu Beach, but tranquil and away from any tourism. Sonja effortlessly planned our activities and had the appropriate rental equipment to us without any problems. It really felt as if we were royalty! Thanks again for helping us achieve a wonderful family vacation celebration with so many memories. The best location and accommodation we have ever stayed at! This was the most gorgeous accommodation from the view which is exactly as the pictures indicate and the villa. The decor was elegant and tasteful yet comfortable. The kitchen was super well stocked and the view while cooking breathtaking. 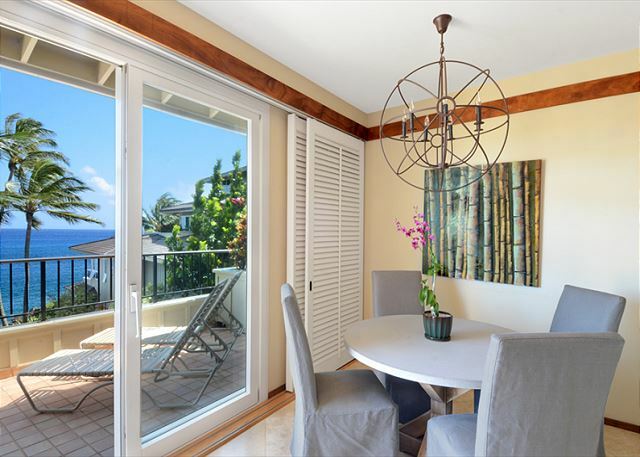 The location was close to two outdoor 'malls' with amenities and close to gorgeous beaches. As well the drive to the airport was only 30 minutes. We hope to come back next year. I HIGHLY recommend this accommodation. Our unit was clean, beautiful, well situated and well appointed! Management was helpful, informative and responsive! We stayed at Whalers Cove Condo 231 for four nights. The condo was 2 bed 2 bathroom ocean view. It was exactly as described and very tastefully decorated. The unit had lots of little added extras which helped us as we are an overseas couple. The owner had provided beach towels, beach chairs and bogey boards. Additional items were also left in the pantry and fridge. We would recommend this unit and Kauai Exclusive Management. Great place to stay! 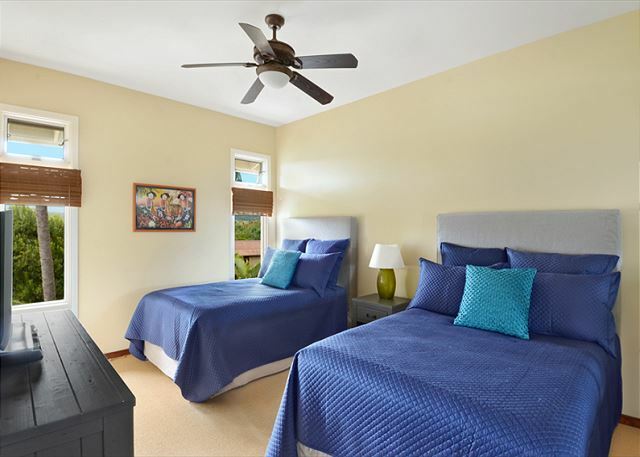 Lovely location, with beautiful views, comfortable living arrangements, spotless pool, and great access to beaches and restaurants. Very much appreciated the air conditioning in the bedrooms! Went snorkeling and scuba diving several times in the bay just next to the property. I have very high regard for the folks at this property management company. Excellent customer service and follow-up. We will be recommending them to our friends and colleagues without hesitation.